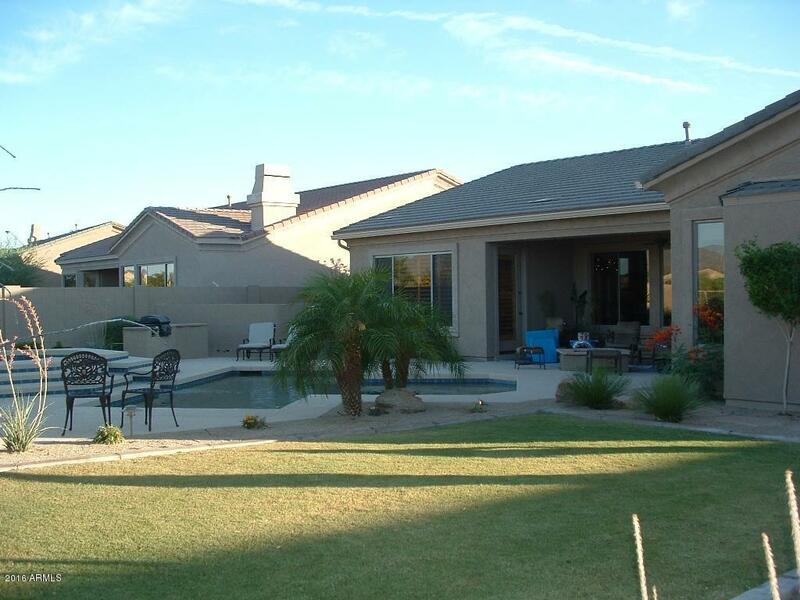 Welcome to this great Open floor plan home in a Gated Community at Estrella Mountain Ranch. You will enjoy cooking in the Gourmet Kitchen that features Stainless Steel Appliances, Granite Countertops, Mirrored Backsplash, Oversized Island with a Stainless steel sink. 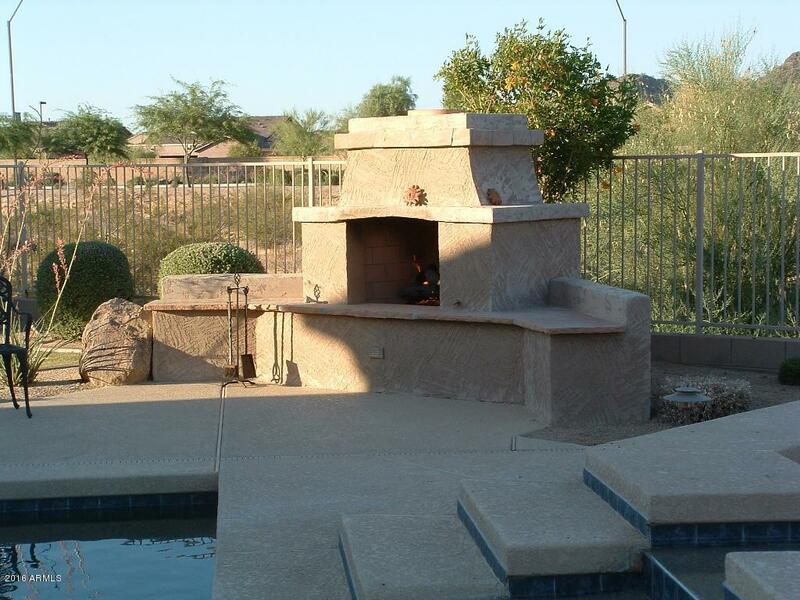 The Backyard offers a Beautiful Sparkling Pool and Spa, a Gas Fire pit, Fireplace and Gas Barbeque making this an amazing backyard. Great views of the Mountains and No Neighbors behind you. Landscaping and pool service included. This is a must see!! !